Squarespace allows XML-RPC blogging clients to post content (read more). 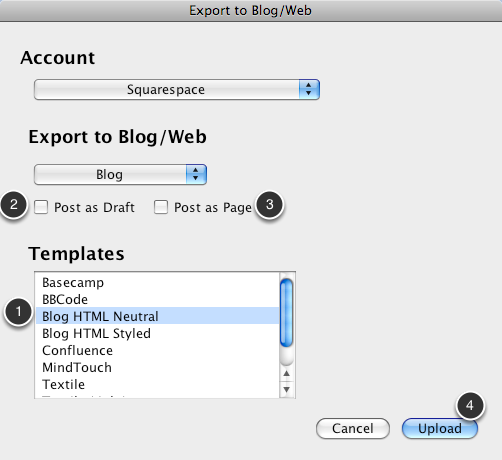 This means you can post lessons from ScreenSteps to Squarespace using the Export to Blog feature. 1) Select WordPress as the type. 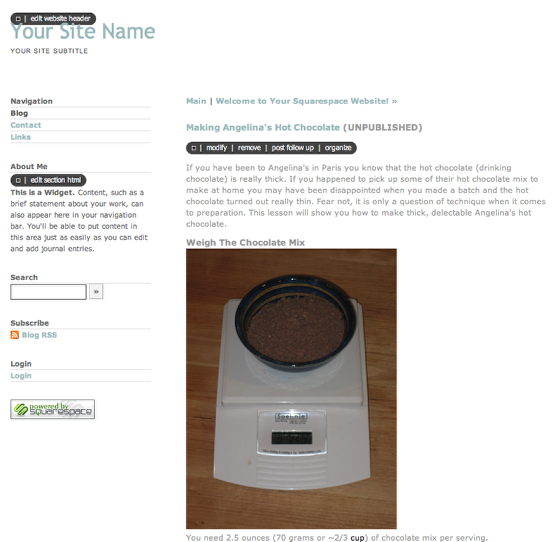 3) Enter the name of your website on Squarespace (taken from http://<website-name>.squarespace.com/) as the user name. 4) Use the owner account password. Press the Test Connection settings to verify that ScreenSteps can communicate with Squarespace. You can now upload a lesson from ScreenSteps to Squarespace by exporting to Blog/Web. 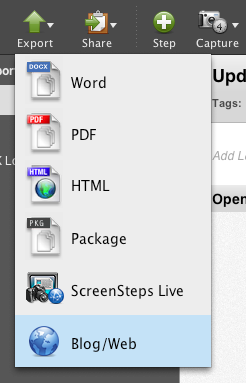 1) Select the template you would like to upload with (Blog HTML Neutral is a good one to start with). 2) You can make the post a Draft if you would like. 3) DO NOT select Post as Page. Squarespace does not support this WordPress feature. Your lesson will appear as a journal post in your Squarespace website.